The Golden State offers a wealth of eating choices, from humble, family-friendly bistros to Michelin starred restaurants. Matt Stamp MS reports. The Thomas opened in the summer of 2012, revitalising a shuttered storefront and reinforcing the makeover of downtown Napa. Lunch, dinner and weekend brunch are offered in a seasonal, farm-to-table style, but the real draw is the rooftop bar. 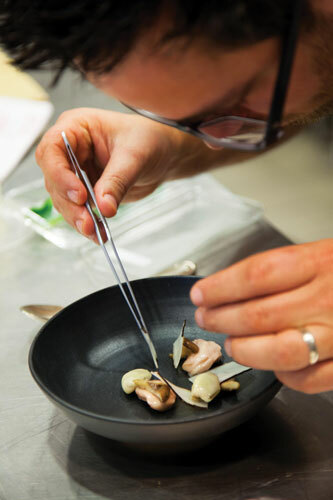 Napa’s – and California’s – second restaurant to earn three stars from the Michelin guidebook, Meadowood continues to impress. 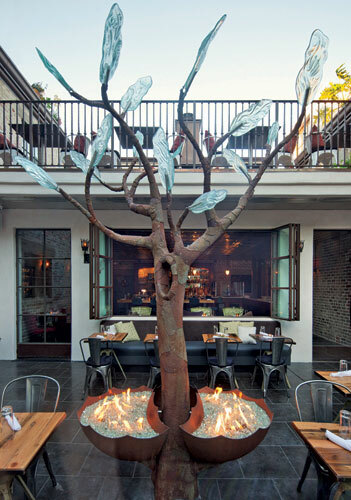 Chef Christopher Kostow creates imaginative tasting menus in a relaxed, airy setting stripped of the stuffy formality. Plus, you can actually get a table! Great breakfast and lunch on a budget in the notoriously pricey Napa Valley. Southern-influenced, stick-to-your-ribs cooking, and everything is – obviously – served on a tasty biscuit (for Brits, that’s like a scone). Press’ wine country steakhouse fare is satisfyingly ‘old school’, but the wine list is unparalleled: Kelli White and Scott Brenner have assembled an amazing treasure-trove of Napa wines. 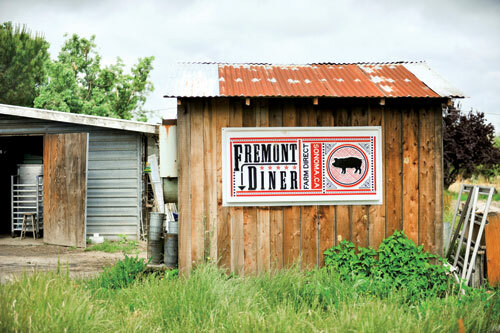 As the restaurant connected to the Long Meadow Ranch, Farmstead wears its farm-to-table aesthetic on its sleeve. 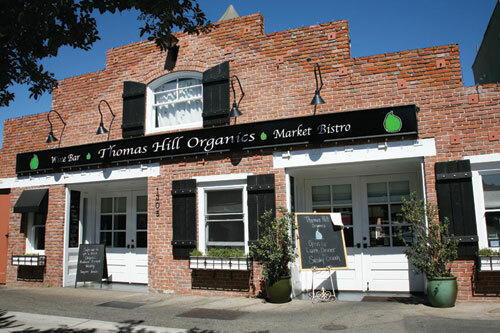 Ingredients are often organic and usually local and the place has a family-friendly atmosphere, particularly on Monday nights. 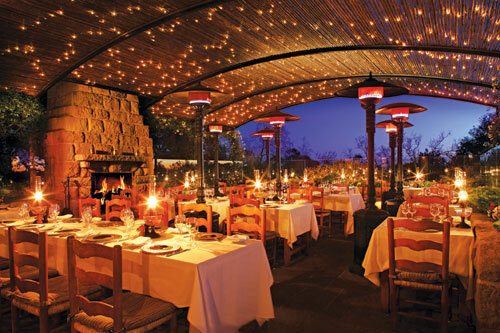 The panoramic view of Napa Valley from the terrace at Auberge is unrivalled, and the kitchen at this Napa institution continues to craft artful, wine-country cuisine. The wine list is immense, but tailored to big-game hunters. Maybe ‘hottest opening’ is not quite right, but this new little spot in Santa Rosa’s arts district is turning some heads with its flourishes on New American cuisine. Reasonably priced, seasonal menus feature large and small plates. Okay, it’s not really fine dining; it’s in a nondescript strip mall in a town best known for the freeway that traverses it. But wait: the chef’s omakase is hands-down the best dining experience in Sonoma County. Sit at the counter, eat what they feed you, ask for sake pairings and wear jeans. Classic American diner meets California farm-to-table with predictable results: ‘whole hog’ sandwiches, dreamy milkshakes, killer chicken and waffles, pickled everything – plus salads for the health-conscious. A local winemaker favourite for breakfast and lunch. Open for dinner, Thursday to Saturday only. 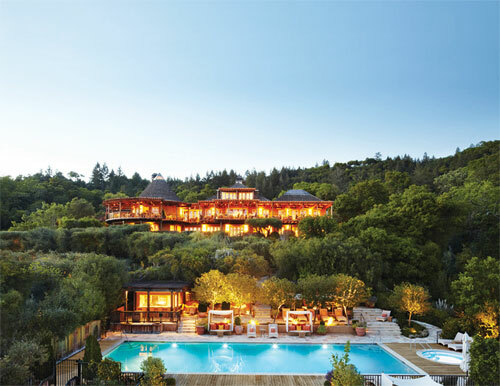 In the heart of Russian River Valley, The Farmhouse delivers thoughtful if unfussy fine dining, warm service, and an exceptional Master Sommelier-penned wine list focusing on Sonoma County, with forays into Piedmont and Burgundy. Great pizza, house-made pasta, a decent Italian-centric wine list, reasonable prices, and a welcoming staff make both Rosso restaurants ideal for the family. Plus, mum and dad can watch soccer – ahem, football – while the kids play with the pizza dough. An ideal afternoon on the Tomales Bay: get a picnic table, bring a bottle of crisp white wine (and something to grill), and eat the freshest oysters in California. Best ‘restaurant’ view in the North Bay, but remember to bring a jacket, as it can get cold. Recently renovated, this historic hotel in downtown San Luis Obispo is one of the most talked-about openings. The adjacent bistro has a few Spanish notes but remains in comfort territory: paella, roasted chicken and beef tartare. Husband-and-wife team Jensen and Grace Lorenzen’s intimate coastal inn, just 20 minutes’ drive from the start of the wine trail, features some of the Central Coast’s most thoughtful, composed cuisine. 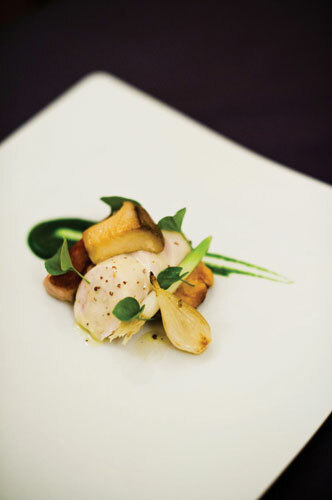 Locally sourced but globally influenced, the menu reflects California’s seasonal bounty. This long-running local favourite sits right across Highway 1 from the bay and serves humble, unassuming Cali-Mexican food and lots of simply grilled, super-fresh fish. Not winning any prizes for culinary invention or décor, but a solid meal and totally laid-back, quintessentially Californian atmosphere. Refreshingly humble yet expert wine service drives a solid list of both international and local selections. Rhône varieties – red and white – are a major focus. The restaurant itself is an unpretentious bistro, and all wines are available for retail purchase. While not expressly accommodating children – few do when wine tourism is your bread and butter – the bistro has something for everyone, from family-friendly, woodfired pizzas to more adventurous offerings, like pork cheek terrine. Healthier fare (beet, kale and quinoa salads) rounds out the menu. Dogs are welcome, too. 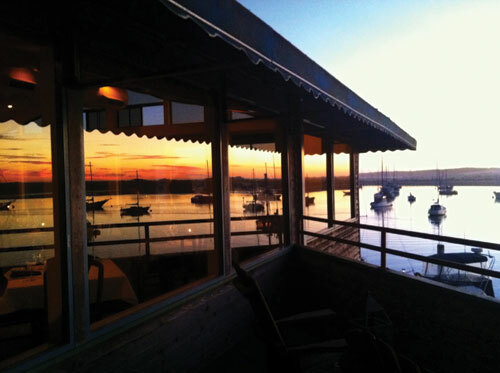 A 30-minute drive south of Paso, the restaurant sits on Morro Bay and the view at sunset is spectacular. The attitude is casual but the food is upscale, with an eye on sustainability. A highly anticipated opening from Brian McClintic, from the upcoming documentary SOMM, and sommelier Eric Railsback of San Francisco’s RN74, Les Marchands is poised to take wine bars to the next level in Santa Barbara, offering hidden local gems to supplement serious Old World selections. Smart snacks and small plates accompany. 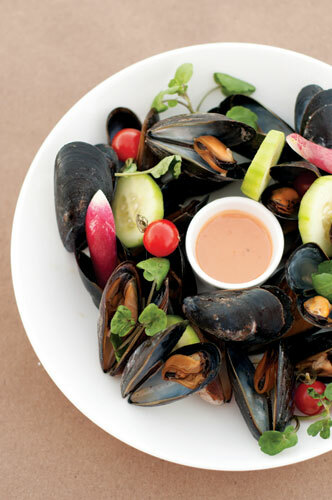 Serious fine dining is hard to find in the casual-chic atmosphere of Santa Barbara, but the kitchen at laid-back Julienne is talented, working magic with local seafood and produce, wild boar and ranch-raised beef. The charcuterie programme is on point. Mexican comfort food done really well, if the usual line around the block is any indication. This must-try turquoise-accented corner taco stand was a favourite of chef Julia Child, and the corn tortillas, made freshly each day, are the stuff of local legend. It’s hard to beat San Ysidro’s list for breadth. The Californian selections are encyclopaedic in scope and the vintages are deep, and the team brings in cool obscurities from around the globe. Prices are high, but the cellar is amazing. The Lark marks another hotly anticipated arrival on the scene, sending out simple but sophisticated food in a warm, casual environment. Locally sourced ingredients are entwined in classic crowd-pleasers, like roast chicken and cassoulet. The wrap-around patio is a big plus. Perched atop the Riviera, the view from El Encanto’s dining room and terrace, overlooking the city, the channel and its islands is spectacular. Food is ‘Californian coastal’, and has rebounded in quality after a recent multi-million dollar renovation.